WELCOME! 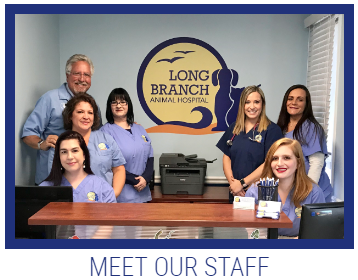 At Long Branch Animal Hospital we know how important your pets are to your family. 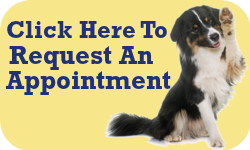 We offer excellent wellness and medical care services for dogs and cats. Our hospital services range from annual wellness exams and vaccinations to full diagnostic, surgical, and dental care. We also provide in-house laboratory testing, ultrasounds and x-rays. We know the first step towards a healthy and happy pet begins with selecting a veterinarian that you are comfortable with. 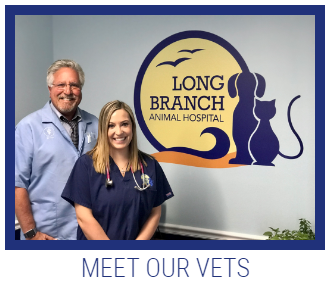 We invite you to explore our site to learn more about how we at Long Branch Animal Hospital can be an integral part of your pet’s health care! We Know Our Patients & Our Patients Know Us!